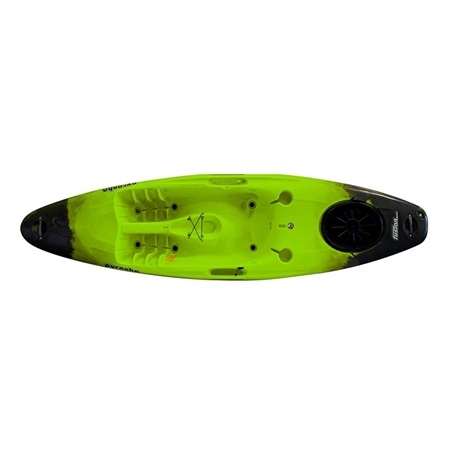 The Fusion sit-on-top is about having a real fun kayak. Paddle down a wild river, cruise flat water or paddle and surf waves with ease. The Fusion SOT is a boat that you can jump on and have a blast right away, no matter if you are a complete beginner or seriously experienced. Deluxe specification comes with a top end WW backrest, thigh-straps, and Pyranha's leading retractable and tough skeg and hatch which provides plenty of room for overnights and exploration. Standard specification comes with thigh-straps and hatch. Super Stable & Forgiving Hull. Tried & Tested Skeg System.